J.H. Wagner & Sons owns and operates a quarry site at Helidon Queensland extracting Helidon Sandstone (freestone). The quarry was established as Wright's Helidon Sandstone in the 1800's and has been the supply source for J.H. 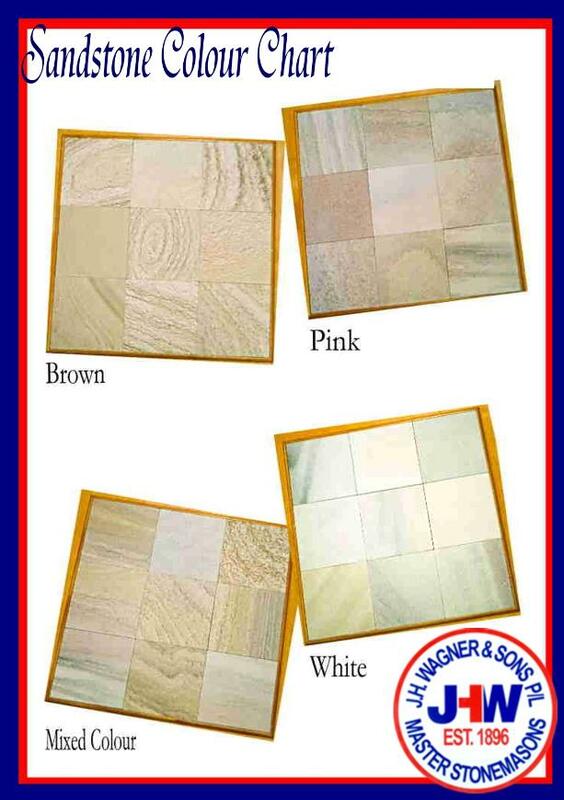 Wagner & Sons since establishment of our business in 1896. In 1965 J.H. Wagner & Sons purchased the quarry from the Wright family. Whilst there are just three basic colours of brown, pink and white any combination of these colours is possible. For example: Total mixed colour, Brown and Pink, White to Pink, Brown and White or any combination. These samples as displayed do not represent the exact mixing portion of pattern, but display the full range of colour terms under the three headings of brown, pink and white. Colour selection can be made to suit your particular requirements. Please note however, that sandstone is a natural product, as are the tone and grain and these colour samples are designed only to show variations from the lightest to the darkest colourings.